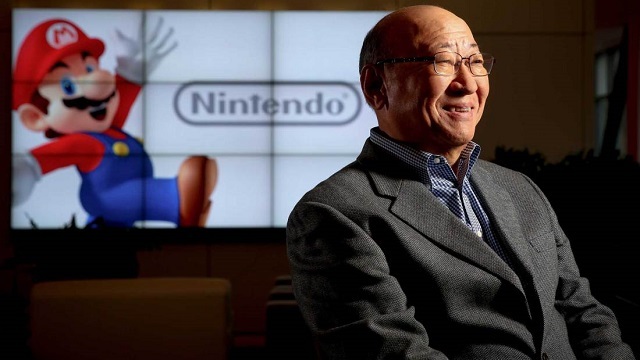 As it regards porting their games to mobile markets, Kimishima said that he didn’t think flooding that particular arena with games was the best utilization of their resources. He acknowledged that it was a difficult market to succeed in because of the high degree of saturation, and felt that spreading awareness of Nintendo products was more valuable to the company than quick cash ins on an Android or iOS version of Super Mario Brothers. Elaborating on this, he said that it was more important to inform people about Nintendo products in a way that helped them gravitate towards their platforms. Kimishima believes that Nintendo Account and My Nintendo (a sort of globalized reimagining of the defunct Club Nintendo that unifies all of a user’s profiles under one umbrella) working in conjunction with the Miitomo app coming in March of next year is the key. He said that providing information about their releases, connecting people to each other to talk about the announcements and giving many avenues for the information to become available would be more beneficial to the beloved company and it’s enduring appeal. I think normally if you look at the smart device business, applications are not advertised, they’re not promoted, you just open up the app store and boom, there’s a whole bunch of new apps. It’s just like, ‘Here they are!’, and they’re delivered to you. Kimishima also clarified a statement that gained some traction in media circles when he was misquoted as saying the Wii U would be a failure. He elaborated on this, saying not that the Wii U couldn’t sell, but that it would be a challenge to sell it in the same numbers as the Wii. And that makes sense when you consider that the Nintendo Wii sold a staggering 100 million units. But despite the Wii U’s struggles, he reaffirmed their commitment to the flagging console, stating that it was important to show their appreciation for the faith that Wii U owners put in the system. They intend to continue developing software for the Wii U and are not abandoning it just because the NX is in development. Among the many subjects discussed in the article, he also talked about the length of his presidency, which some mistook to be a one year term. He said that wasn’t the case, he is committed to seeing all of his intentions for the company through to the end, and that the one year term only applied to the board of directors, whereupon they have to reapply to the position to hold it. The article is filled with a lot of other great information as well, ranging from what they want to do with the Nintendo NX and how they intend to market it as a different product from the Wii and Wii U, reflecting on how Amiibos haven’t been used in the fashion Nintendo had originally hoped for and shedding some light on the new ‘fellow’ positions within the company. It’s a great read and I recommend you go check it out if you’re a fan of Nintendo at all.